Ireland is committed to reducing carbon emissions as per the 2015 Paris Agreement. Given how the country’s transport sector is responsible for high levels of emissions, Dublin had announced an ambitious plan last year to move people from polluting petrol and diesel vehicles to more sustainable fuels such as electricity. According to the National Policy Framework for Alternative Fuels, by 2030 all new cars and vans sold in Ireland will be zero-emissions capable. The same report also mentioned having 800,000 electric passenger cars on Irish roads, which was a difficult goal to achieve considering that just 882 electric cars were sold in 2017, accounting for 0.7 percent of total sales, with 3,580 being the total stock of electric cars in Ireland. To understand the low uptake of electric vehicles (EVs) in Ireland despite a $AUD 8000 grant from the Sustainable Energy Authority of Ireland and an exemption from Vehicle Registration Tax, researchers from University College Cork, the Danish Technical University, and the University of California, Davis built a model, which found two key reasons. Running out of charge mid-way to the destination and lack of variety in electric vehicles in the market were identified as two major barriers in the adoption of EVs. According to the researchers, car buyers looked for choice in terms of type of car, fuel options, size and colour among others. Petrol and diesel vehicles offered hundreds of choices while EVs had limited options. Since Ireland doesn’t have local car manufacturers and the motor industry is entirely dependent on foreign manufacturers to produce a greater variety of electric vehicles, the only way to achieve the target of 800,000 electric cars by 2030 would be by substantially increasing the varieties of electric cars available, complemented by reduced battery cost. However, Ireland's commitment to lowering emissions by achieving this target may come at a huge cost to the exchequer. Since Vehicle Registration Tax is calculated on the basis of the vehicle’s CO2 emissions, a low-emitting electric car will garner less revenue for the government – this can add up to a substantial amount when the plan to sell only electric powered cars by 2030 is achieved, equating to over $AUD 550m per year. Revenues from annual motor tax, VAT, and excise fuel duty will also be affected significantly; however, this cost is justifiable when one considers the expected 70 percent reduction in CO2 emissions in the private car sector by 2050 when compared to 2015 levels. 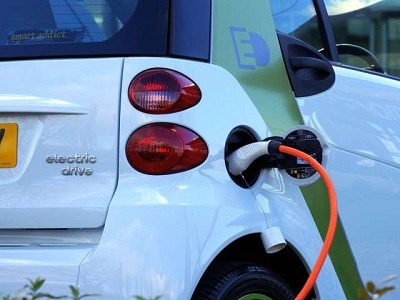 The researchers believe that their model can be used as reference by national policy makers in Ireland to effect a smooth transition to electric vehicles with minimum loss to the government.